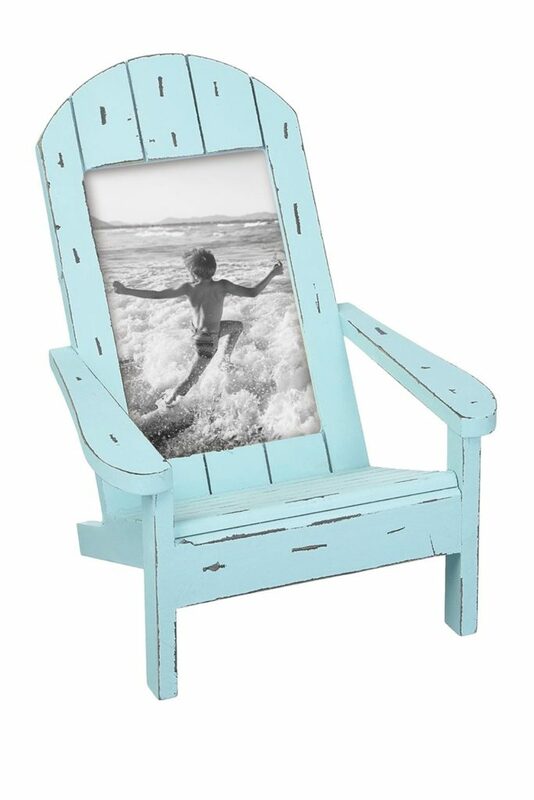 Relax and let the reminders of beach fun take you away with the 4X6 Coastal Chair Photo Frame Blue by Foreside Home & Garden. Featuring an adirondak chair shaped photo frame with distressing just as you would see it on the beach, this photo frame is coastal-chic and ready to set sail. $12.97. Buy here. 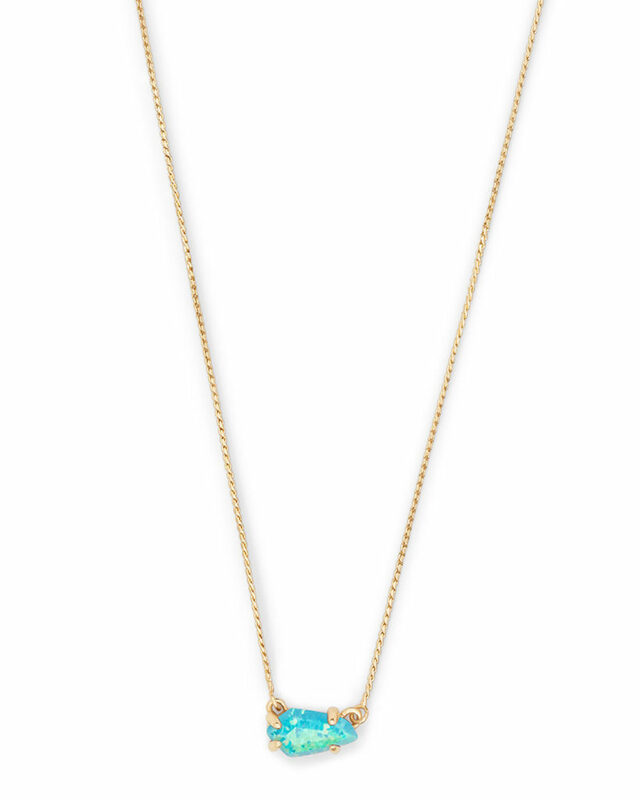 This stunning Kendra Scott Jayde Pendant Necklace features 14-karat gold plated brass with a turquoise simulated opal. 15″L with 2″L extender. $70. Free shipping. Buy here. 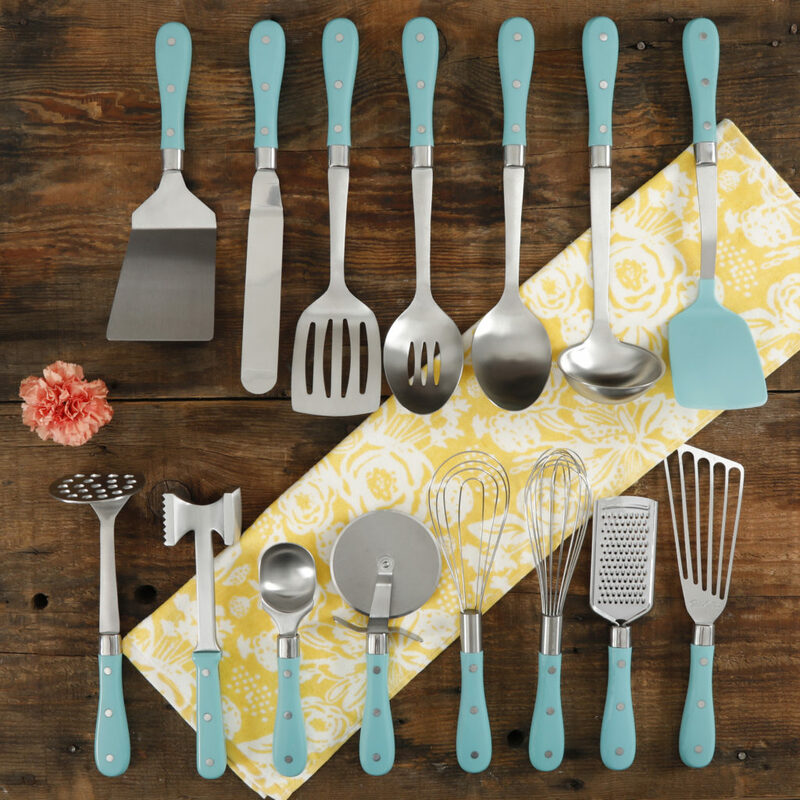 The Pioneer Woman Frontier Collection Teal 15-Piece All In One Tool and Gadget Set will outfit your entire kitchen with all the essential staples and accessories to help make cooking a breeze. Made of stainless steel, nylon, and riveted ABS handles. Dishwasher safe. $59.95. Free shipping. Buy here. Achieve an Instagram worthy selfie with this Turquoise Smartphone Selfie Light. Compatible with most smart phones. $20 Sale $12. Buy here. 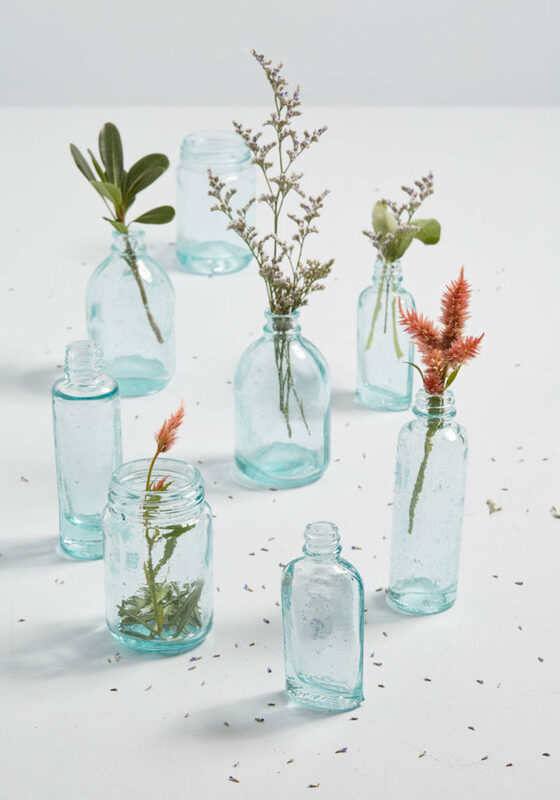 Anything you host in this miniature Varying Vessels Glass Vase Set will feel right at home! Four shapes and designs with a partnered pair comprises this sweet set of eight, making them perfect for mixing and matching all around your abode. $17. Buy here. 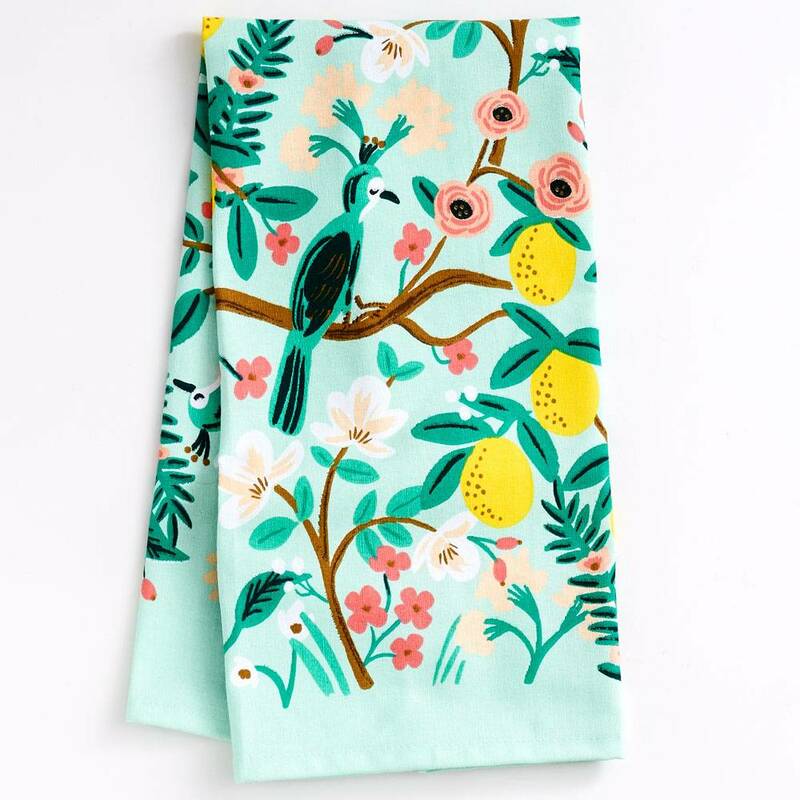 This lush Shanghai Garden Tea Towel is a feast for the eyes, making for a bold impact in your kitchen. Design features bright yellow lemons with pops of green and pink against a mint background. From Rifle Paper Co. $15.95. Buy here. 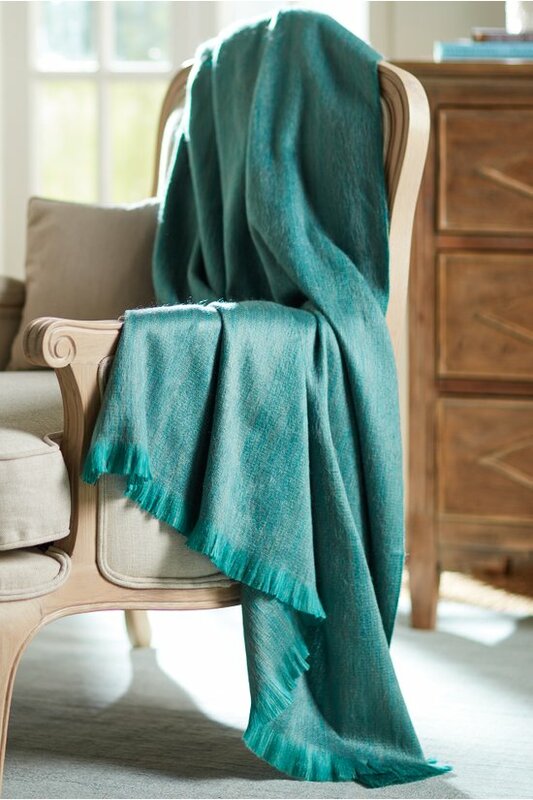 Power up your favorite device with this stylish Turquoise 7ft. Marbled Woven Braided Lightning Cable. 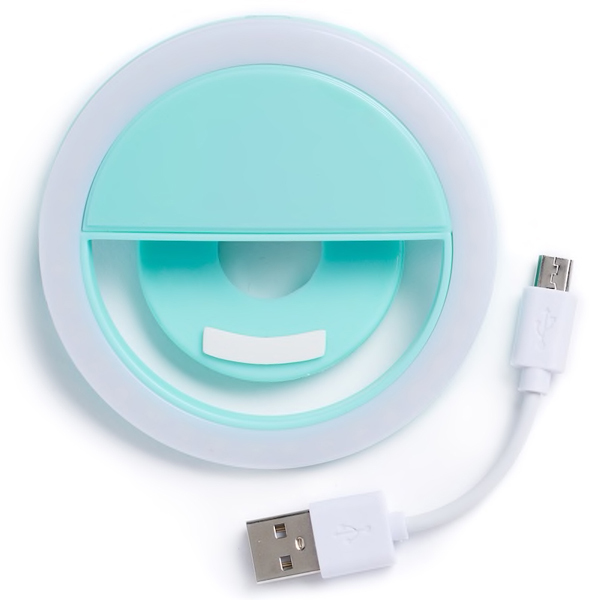 It lets you connect your iPad, iPhone or iPod to a computer USB port or wall charger. Woven texture connects your device at 7 feet long. 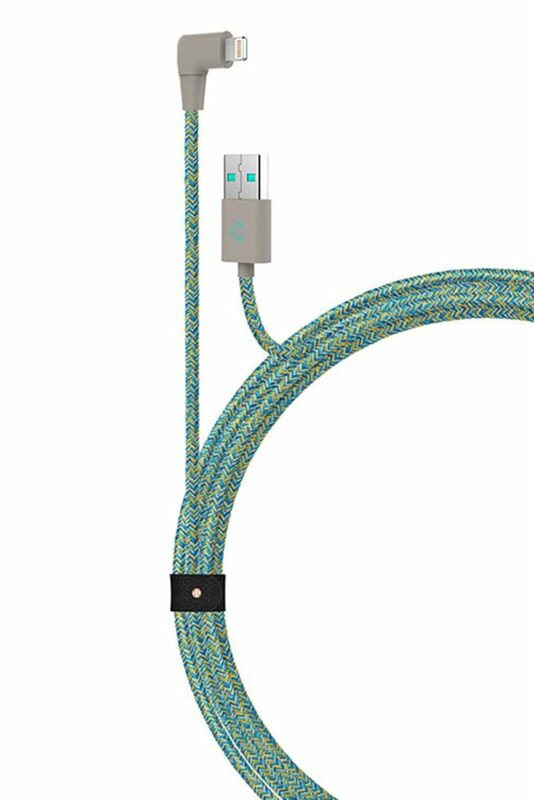 The round cable design resists tangles for easy storage. $24.99 Sale $12.97. Buy here. 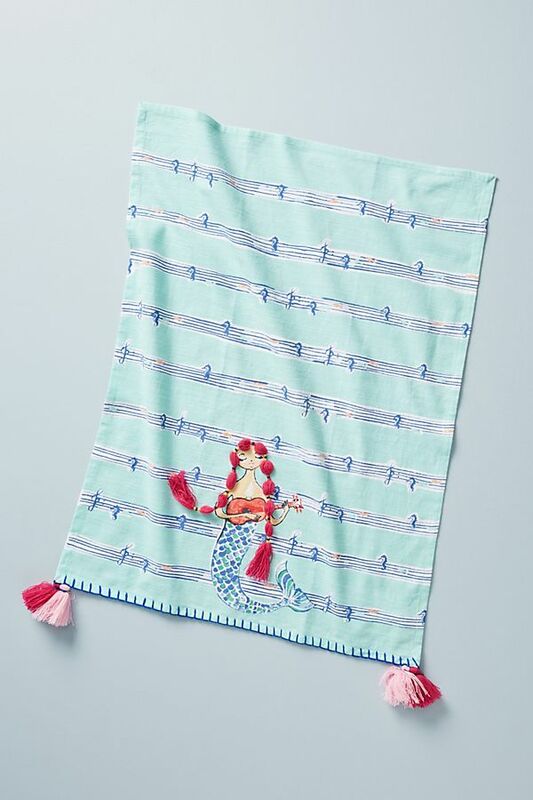 Add a dash of color and whimsy to your kitchen with this Mermaid Dish Towel. Makes a great gift! $18. Buy here. 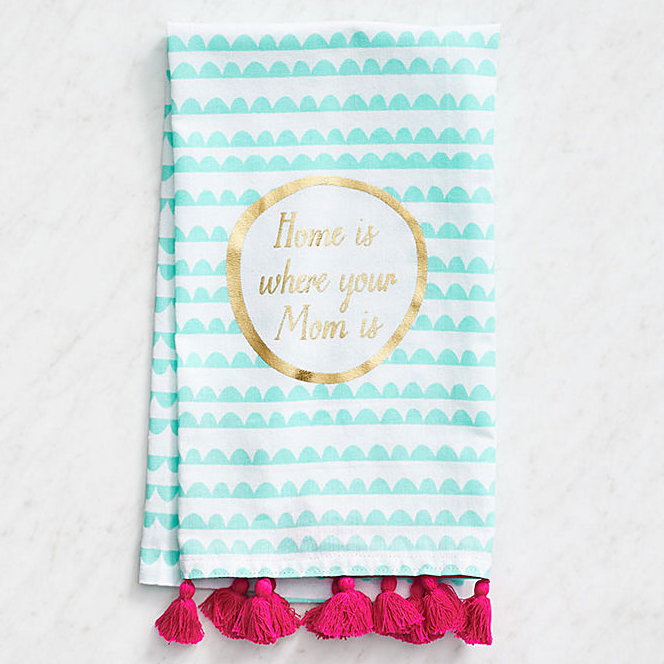 A charming gift for Mother’s Day, mom’s birthday, or any other occasion, this aqua and white colored scalloped Home Is Where Mom Is Tea Towel features gold foil letting with the words, “Home is Where Your Mom is.” With raspberry colored tassels, this sweet sentiment will delight your mom. $12.95. Buy here. Perfect for Mother’s Day! 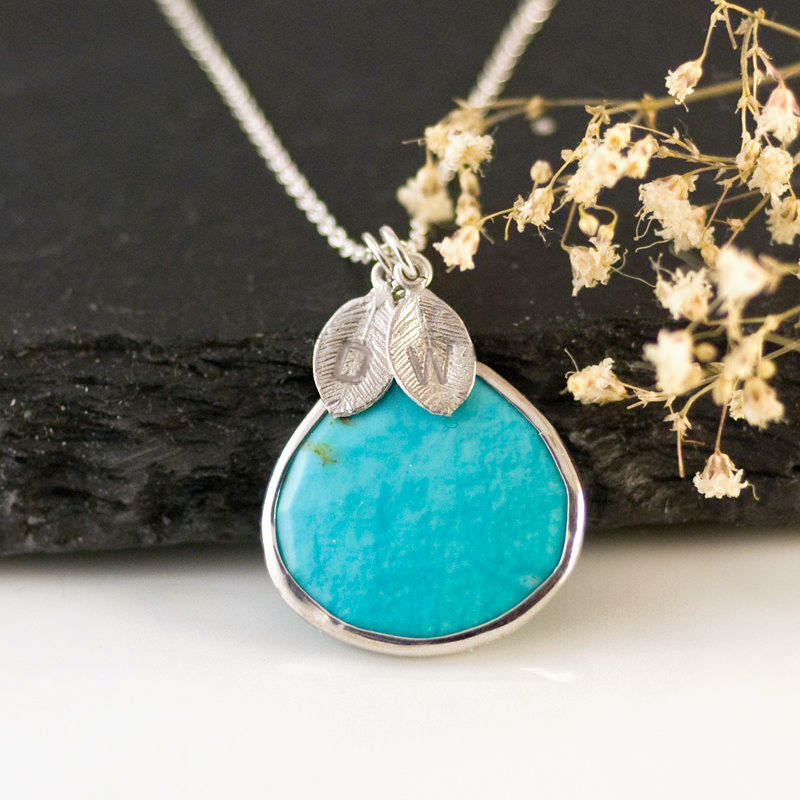 This stunning Personalized Turquoise Necklace features a gold or silver framed gemstone drop pendant hanging from a delicate 14k Gold Filled or Sterling Silver chain. Available with the option of adding 1-4 leaves hand stamped with the initials of your choice at no additional cost. $48. Buy here. 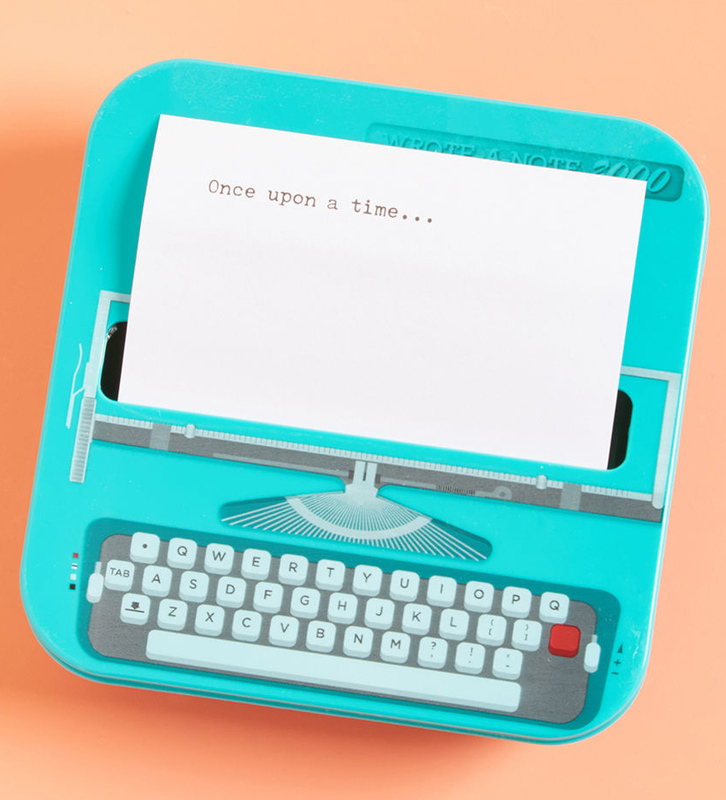 This quirky Well Documented Sticky Note Set features a pad of white papers with storybook beginnings on each page delightfully dispensed by a turquoise plastic typewriter that’s equipped with a suction to stay put on your desktop. $9. Buy here. 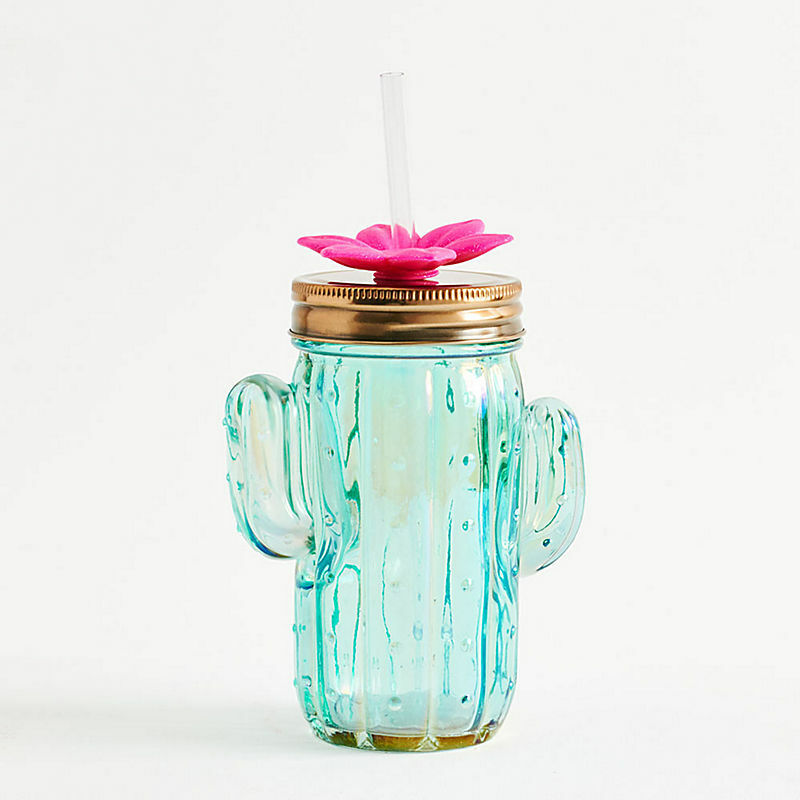 Sip your beverage in this fun, glass Cactus Drink Tumbler that’s shaped like a cactus! Featuring pink flower accents and a screw top lid, this 13 oz. tumbler comes with a removable straw and has a beautiful, iridescent finish. $14.95. Buy here. 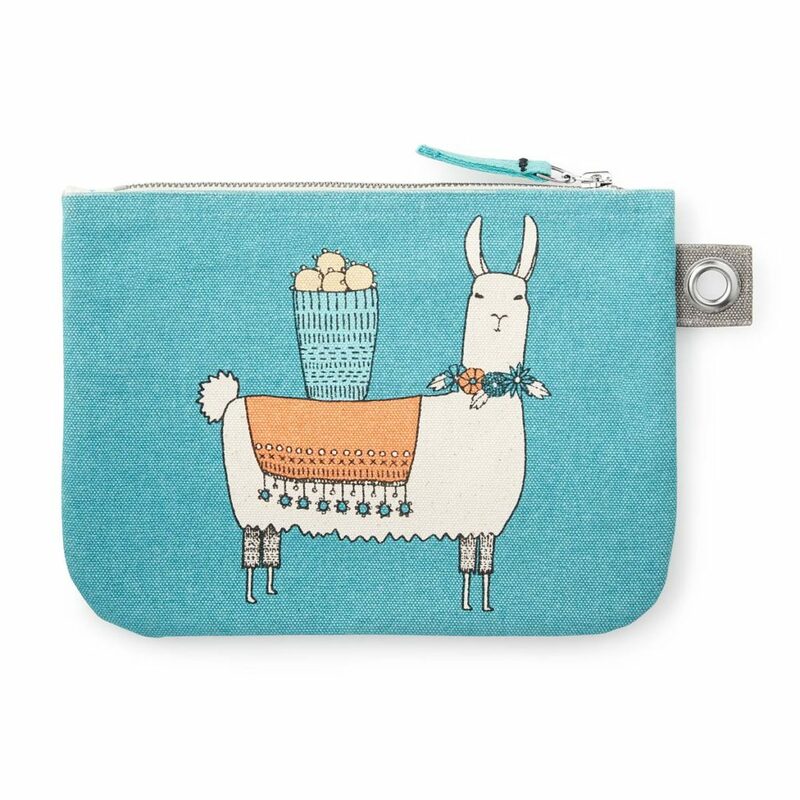 This aqua, yellow, and coral cotton Llamarama Large Zipper Pouch packs a playful punch. Tote toiletries, change, keys, and candy across the Bolivian Altiplano, or just through the produce section. 9.25″ L x 7″ W. Made in India. $18. Buy here. Not afraid to rock the boat, this fierce mermaid proclaims “Strong Women Make Waves”. 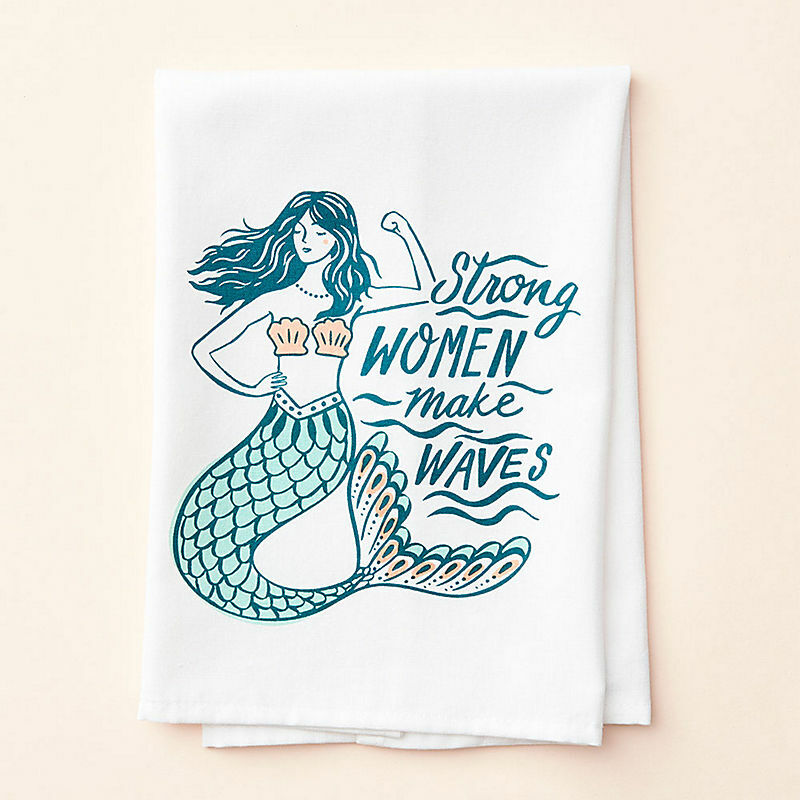 The cotton Strong Women Make Waves Tea Towel features a turquoise, coral and ocean blue mermaid design. $9.95. Buy here. Add dimension and color to a display of candlelight. 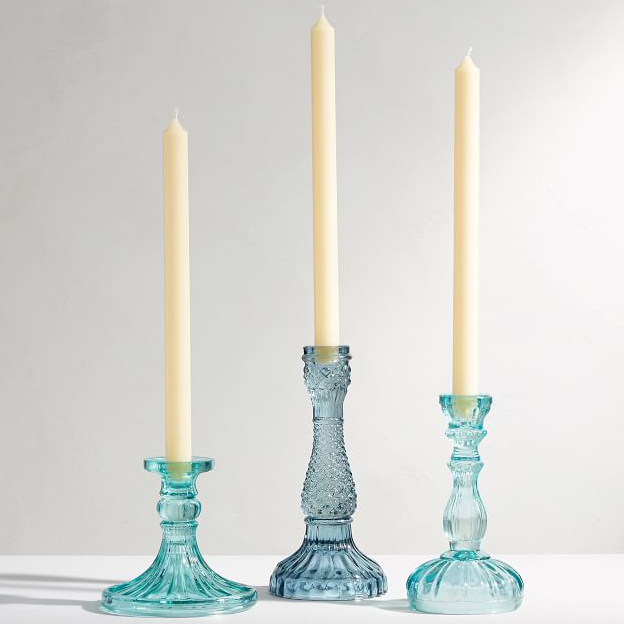 Crafted in the traditional technique first used in the early 1800s, the Vintage Pressed Glass Taper Holders are perfect on a console or dining table. Set of 3. $59. Buy here. 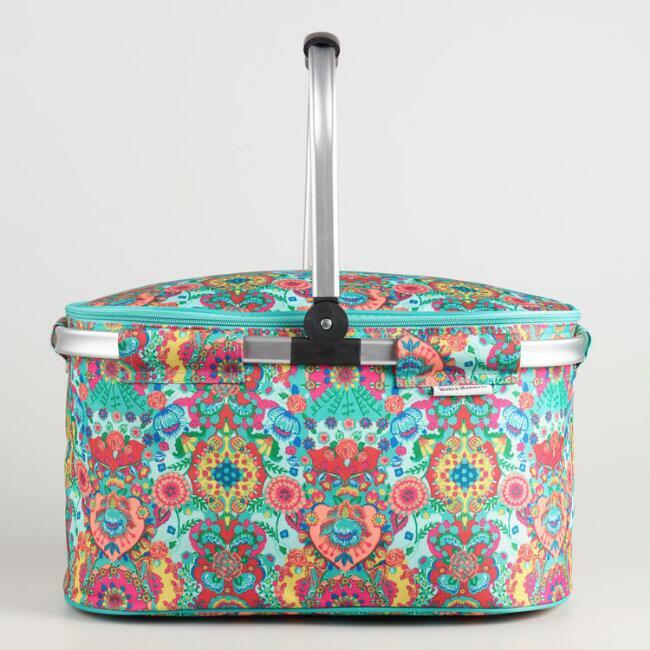 A perfect bag for trips to the farmers market, picnics, potlucks and tailgating, this Bettina Floral Collapsible Insulated Tote Bag features a comfortable carrying handle and multicolor floral design. When not in use it folds down nicely for easy storage. $24.99. Buy here.